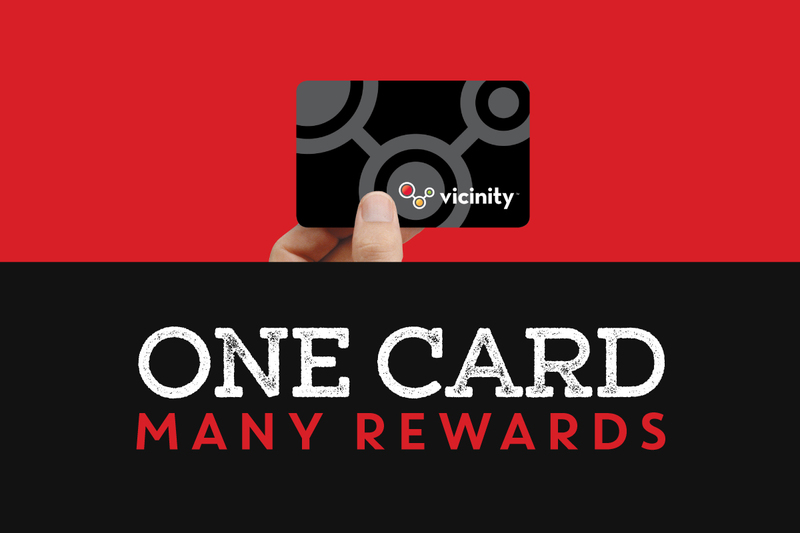 We want you to earn Vicinity points for being a loyal customer. Every time you spend money in our establishments, we’ll reward you with points. When you earn points, you get stuff like gift cards, $’s off your dining receipts, tickets to events, merchandise, etc. You get the point. Here we have outlined our program to learn how our points system works. If you sign up to receive alerts from us, you’ll get BONUS stuff from us time to time. We promise not to annoy you with too many texts. Points are earned based on 1 point per $1 spent on your pre-tax bill. Present your card at the time of your purchase to be accredited your points. When you reach 1000 points, we will credit you with a $100 gift card OR credit your bill. Please note this $100 gift card/redemption is a ONE-TIME goal reach. After you reach your first 1000 points, you will then earn $5 for every 100 points, $10 for 200 point, $15 for 300 points, $20 for 400 points and so on. When you reach the next 1000 points, you will receive $50 gift card or credit your bill.